The Cape Verde Islands, an Atlantic archipelago off the coast of Senegal, were first settled during the Portuguese Age of Discovery in the fifteenth century. A ?Crioulo? population quickly evolved from a small group of Portuguese settlers and large numbers of slaves from the West African coast. 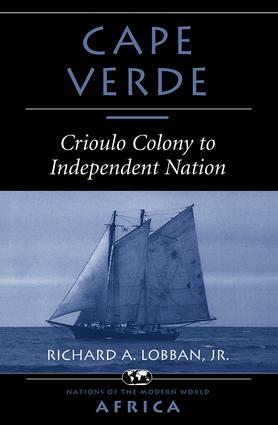 In this important new study, Dr. Richard Lobban sketches Cape Verde's complex history over five centuries, from its role in the slave trade through its years under Portuguese colonial administration and its protracted armed struggle on the Guinea coast for national independence, there and in Cape Verde.Dr. Lobban offers a rich ethnography of the islands, exploring the diverse heritage of Cape Verdeans who have descended from Africans, Europeans, and Luso-Africans. Looking at economics and politics, Lobban reflects on Cape Verde's efforts to achieve economic growth and development, analyzing the move from colonialism to state socialism and on to a privatized market economy built around tourism, fishing, small-scale mining, and agricultural production. He then chronicles Cape Verde's peaceful transition from one-party rule to elections and political pluralism. He concludes with an overview of the prospects for this tiny oceanic nation on a pathway to development.